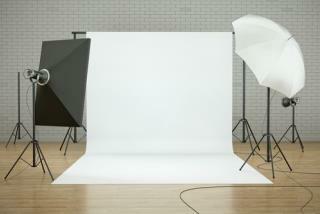 (Newser) – The digital age might have another victim: Sears has shut down its portrait studio, at least for now, after the photography company that has been snapping family portraits for the chain since 1959 abruptly closed up shop, reports the Wall Street Journal. CPI Corp. also ran studios at Walmart and Babies "R" Us, and all three retailers are scrambling to figure out next steps. Sears is "exploring all options" to resume portrait services, says the company. Just another case of technology sending more people to the unemployment line. This news makes me red-eyed. I shutter when I think of all the out-of-work photographers. Too bad they couldn't dodge their financial issues and come to some resolution. Hopefully, consumers will shift their focus to independent portrait photographers.